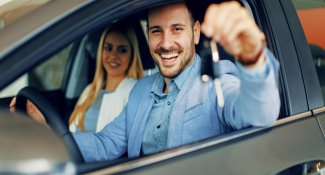 Buying a car out of state might allow you to purchase the new or used car of your dreams. While the internet makes researching and shopping easy, you have several decisions to make and steps to take before you drive off in your new vehicle. 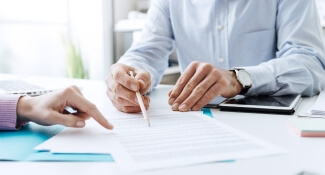 When working with a dealership rather than a private seller, you can often get more help in completing your paperwork, making it easier to head home as a happy owner of the perfect car. Your first decision when buying a car out of state from a dealer is whether you want a used or new vehicle. If you're looking for a hard-to-find new model or a vintage vehicle, you may need a long trip to find the car you want. Decide how far you want to go, how you want to get there, and how much money and time you can afford to spend traveling to and from the vehicle's location. Consider the costs of airfare, hotels, meals, and time off from work or away from home. Factor these additional costs into the overall cost of the vehicle to make sure it's worth all your time and effort. If you plan to trade in your vehicle, think about how you will get it to the dealer. Should You Drive Your New Car Home or Hire a Transport Company? Are you going to drive your new car home or arrange for transportation? If you're going to drive it across state lines, confirm with your car insurance company that you have the right coverage for your new vehicle's first trip. You will likely need proof of the new title, the bill of sale, and temporary registration. 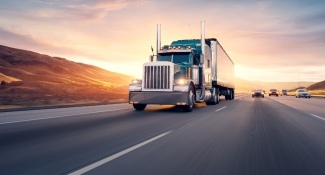 Your vehicle may also need to meet specific emissions requirements for your home state. Many states give you a grace period to drive the vehicle using temporary tags while you arrange to have it registered and emission-tested. Ask whether the dealer issues temporary license plates or temporary transit permits for driving the car out of state. Your state's sales tax depends on the state in which you live, not the state in which you buy the car. You pay the sales tax when you register your vehicle in your home state. However, if you purchase your out-of-state car in California, and plan to drive the car from the dealership, you must pay California's sales tax. You don't pay California's sales tax if you ship the vehicle from the dealership to your out-of-state destination. Other states may have similar requirements, so ask about it before making your transportation plans. Depending on your car's purchase price and the distance, time, and expense of driving it home, hiring a company to transport your new car might be a better deal. In that case, you need to choose whether you want it transported in a closed or open trailer. You want to know the fees and costs involved and what bonding and insurance the transport company provides. Ask other questions, including when the vehicle will leave the dealership, how long the trip will take, and when it will arrive at the final destination. A benefit of buying from dealers is that they recommend transport companies and work with them to ensure your vehicle gets to you safely and often at a better price than if you were booking solo. Although you're buying a car in a different state, it must meet your home state's requirements. Your state DMV's website will have the information you need for registering and operating your new or used car. Meeting your state's emissions standards is an important point when buying a car out of state from a dealer. Fortunately, most automakers produce cars that meet California's air quality standards, the strictest in the nation. However, if you buy a used or classic vehicle, especially one that has been modified in any way, it might not pass California's more stringent standards, so be sure to check with the seller to get all the details on any potential changes. If you buy a new car in Washington, D.C., or the 14 states that have adopted the California Air Resources Board (CARB) standards, your car can pass any state's emission requirements. In the East, states that have adopted the CARB standards include Connecticut, Maine, Maryland, Massachusetts, New Jersey, New York, Pennsylvania, Rhode Island, and Vermont. In the West, they include Arizona, New Mexico, Oregon, and Washington. Look for the label on the door jamb or under the hood to confirm the car you want is emissions-compliant in all 50 states. If you don't see it, ask the dealer where it is. Check the owner's manual for the label's location. A vehicle history report gives you important information about a specific vehicle you're considering. The reports are based on a car's 17-digit vehicle identification number (VIN). Reports include a car's service record, odometer readings, rollbacks, accident and damage history, and recording of a salvage title. You can buy the report through the National Motor Vehicle Title Information System. Some dealers offer the report free if you buy a car from them. You can also buy a history report from websites like AutoCheck and Carfax. Even though you may be purchasing a car from a dealer, use the car's VIN to make an independent check for recalls on the U.S. Department of Transportation website. To get owners' reports about their experiences, check ratings from J.D. Power and Consumer Reports. Whether you're purchasing a new or used car, inspect it visually and mechanically. Make sure it has all the features advertised. Test drive the vehicle on city streets and highways. Try to experience different road conditions before signing the sales contract. Hiring a well-respected local certified mechanic to inspect the car is a smart investment, especially since you're taking it out of state. If you live in Los Angeles, California, and you buy a car in Portland, Oregon, returning it for problems you discover later will be more difficult and costly than if you purchase it from a local dealer. After you review the mechanic's inspection report and you want the car, discuss any problems in the report with the dealer. Negotiate for repairs and concessions, such as a lower sales price or a free extended warranty. Don't buy the car if you're not satisfied. When you can't find the new, used, or classic car you're looking for locally, buying a car out of state from a dealer might get you the perfect car. Do your research, ask questions, and then venture across state lines with confidence to make your best deal.